Europe: what does it have to do with me? 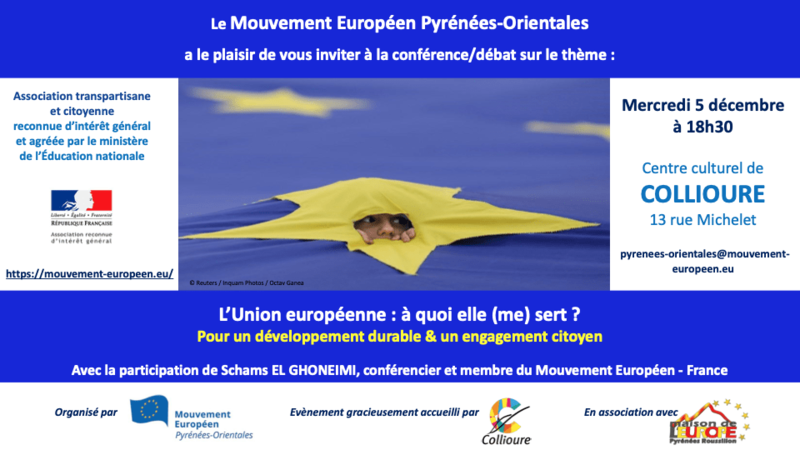 Come and find out what you and Europe have in common on Wednesday, 5 December at 18h30 in the Centre Culturel of Collioure. speak about Europe and sustainable development and answer your questions. The evening is sponsored by the Movement for Europe, a cross-party organisation dedicated to informing citizens about Europe. Mes dents claquent comme des castagnettes. Ah oui ! Ce doit être la grippe espagnole !